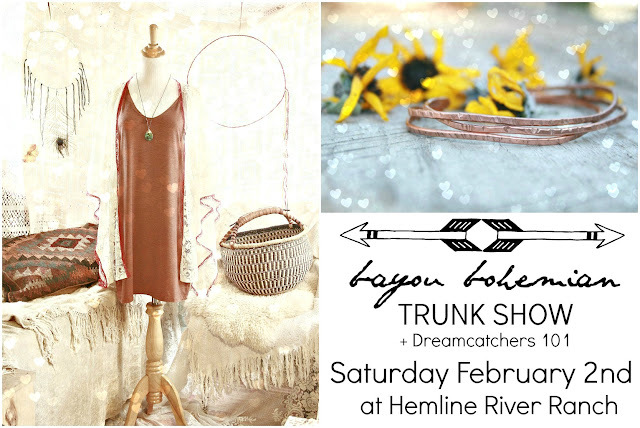 This Saturday, Feb 2 I am having a trunk show at Hemline along with a Dreamcatcher workshop. You should come if you are in the area. I will have a fresh selection of my newest creations AND you can learn how to make your own dreamcatcher. You will get to bring home your dreamcatcher you make during the workshop plus you will learn a new craft so you can make many more special sacred circles.